It is Ireland in the early 1990s. Helen, her mother, Lily, and her grandmother, Dora have come together to tend to Helen's brother, Declan, who is dying of AIDS. With Declan's two friends, the six of them are forced to plumb the shoals of their own histories and to come to terms with each other. Shortlisted for the Booker Prize, The Blackwater Lightship is a deeply resonant story about three generations of an estranged family reuniting to mourn an untimely death. 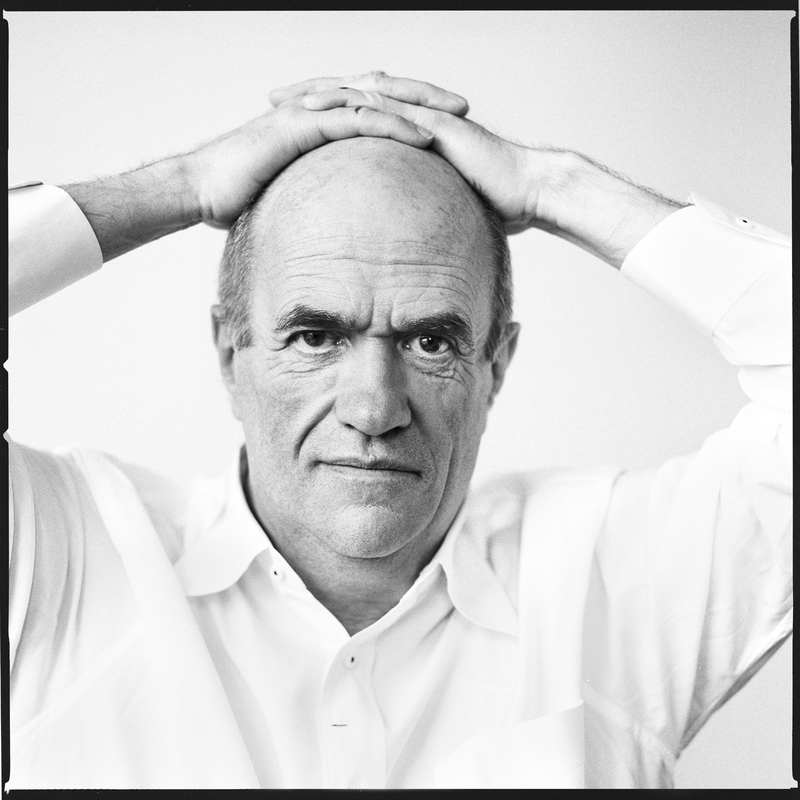 In spare, luminous prose, Colm Tóibín explores the nature of love and the complex emotions inside a family at war with itself. Hailed as "a genuine work of art" (Chicago Tribune), this is a novel about the capacity of stories to heal the deepest wounds. Helen woke in the night to the sound of Manus whimpering. She lay still and listened, hoping that he would quieten and turn on his side and sleep, but when his voice became louder and more insistent and she could vaguely make out words, she got out of bed and moved towards the boys' room; she was unsure whether he was dreaming or awake. 'I was frightened,' he said. 'I don't want to go back asleep,' he said, and began to cry. 'Will I carry you into our bed?' she asked. Helen spoke to him across the room as though he were an adult. 'I'm going to take Manus into our bed so that it will be easier for you to sleep,' she said. He pulled the blanket over himself and closed his eyes. At six, Cathal was clever enough to know that she was not carrying Manus into their bed for his sake, but because she was prepared to treat Manus like a baby. She wondered what Cathal thought about this, if he were hurt or disturbed -- but he would be too proud to let her know, too ready to play the part of the grown-up big brother. The half-light of dawn had broken through the landing window. She moved slowly into the bedroom. Hugh lay curled up sleeping, his ann across her side of the bed. She stood watching him, wondering at how easy it was for him to fall in and out of sleep. Manus stirred in her arms and turned to see why she had remained motionless in the room. He, too, watched his father sleeping and then turned away and huddled against her. Somewhere in the distance she could hear a car moving. She brought Minus over to the bed. 'Will you sleep on my side?' she whispered to him. 'You know what you want, don't you?' She smiled at him. 'I want to be in the middle,' he whispered. They had gone to bed early when there was still vague light in the sky and made love and she was filled now with a tenderness for Hugh and a wish, something which had become a joke between them, that she could be more like him, even-tempered, easy to please -- easy to please? he had laughed when she said that -- with nothing secret, nothing held inside. As Manus edged towards sleep he began to pull at her, he wanted her full attention. He did not want her to turn her back on him. 'Come around this way,' he whispered. When Helen woke again, Hugh and Manus were sound asleep. It was just after eight o'clock; the room was hot. She slipped out of the bed and, carrying her dressing-gown and slippers, she went downstairs, where she found Cathal, still in his pyjamas, watching television, the zapper in his hand. 'I've finished in the bathroom if you want to have a shower,' she said to him. He nodded and stood up. 'Are they still asleep?' he asked. 'They are,' she said and smiled. 'I'd better go before they wake up,' he said. They were the first to live in this house, and the first in their estate to build an extension -- a large, square, bright room which served as kitchen and dining-room and playroom. Hugh had wanted the house for the beech tree which, through some miracle, had been left in their back garden, and the park behind the house. She had liked only the newness, the idea that no one had ever lived here before. She washed up from the night before and noticed from the kitchen window a breeze flit through the leaves of the beech tree and the fir trees at the edge of the park, and then a sudden darkening in the air, a sense of rain. She turned on the radio -- Hugh, as usual, had it tuned to Raidio na Gaeltachta -- and found Radio One just as the pips sounded for the nine o'clock news. She would be able to listen to the weather forecast. Cathal smiled at her and took a slice of toast and went back to his comic. They ate in silence as the noise upstairs continued, Hugh shouting something in Irish at Manus, and then both of them shouting at the same time until one of them -- she presumed it was Manus -- landed on the floor with a thud. 'I fell out of bed,' he said. 'We know, we heard you,' Helen said. His cheeks were flushed, He began to squeeze Hugh's nose. As soon as Manus was seated, he saw Cathal's comic and reached across the table and grabbed it. Cathal tried to hold on to it, but Manus was too quick for him. 'Give it back.' Helen said to him. 'He's finished with it,' Manus said. He looked at her, calculating what the chances were of her losing her temper. He laughed. 'Don't be silly,' he said. 'We're all waiting here. No one is moving until you hand it back and say you're sorry,' she said. Cathal sat with his hands by his sides; content to be the injured party, Manus looked at Helen and then at Hugh, who spoke gruffly to him in Irish. Manus sighed and handed the comic back to Cathal. 'And say I'm sorry,' Helen said. 'You're becoming a bit of a monster,' she said to him and turned to the sink. 'You're becoming a bit of a monster,' he repeated. She looked out at the garden and wondered how she should respond; she was grateful when she heard Hugh saying something to him. It was, she thought, her own fault for calling him a bit of a monster. She would leave it, forget about it, feed him his breakfast. He hated being smaller and younger than Cathal. What age would they be, he had asked her, when they would both be the same size? Would it be long? Cathal never hit him or bullied him, but he was always aware that he was at an advantage. Even though Cathal was only two when Manus was born, he had immediately seized on his new role -- the one who didn't cry, who didn't have a dirty nappy, who didn't want to be brought into his parents' bed, who didn't grab comics from his brother, who didn't give back-answers to his mother. When she had given Manus his cornflakes and cold milk and left Hugh to fend for himself -- Hugh was more at home in the kitchen than she was -- she went out to the line to hang a few dishcloths she had washed. She made a note in her head to find out if there was a good book about bringing up boys, which might make things easier to handle. Once again, as she stood there, the sky darkened. She walked down to the bottom of the garden to take in a deckchair which Hugh must have left out overnight. 'Did you want to sleep with your mother and kill your father?' Helen asked Declan. 'Sleep with your father?' Hugh asked. His tone was earnest, dead serious. 'Yeah, and have a baby, Hugh,' Declan said drily. She had not forgotten the exchange: Hugh's uneasiness, his innocence, his attempts to suggest to her when Declan had left that talking about killing your parents, or sleeping with them, even in jest, was a sort of blasphemy. She was careful not to seem too impatient with him, aware that she and Declan could without any effort join forces and make Hugh feel that they were laughing at him. Maybe that is what brothers are for, she thought as she walked back into the kitchen, perhaps even now Cathal and Manus are involved in unspoken conspiracies. It was the end of June, Hugh's end of term; the next morning he would take the boys to Donegal. Tonight, he had invited the teachers from his all-Irish school to celebrate the school's first year in existence, and other friends -- musicians, Irish-speakers. Helen had made him invite all the neighbours, including the Indian doctor and his wife and their children who lived at the top of the road. 'No one can complain about the noise if they've just been fed in the house,' she said. 'I haven't asked him,' she said. 'He wouldn't mix. I don't think he likes "The Rocks of Bawn". 'He has plenty of time so.' Hugh laughed. 'Is your mother coming?' he laughed. 'She'd be great on the door, though,' Hugh said. There would be no friends of hers at the patty, nobody from the comprehensive school of which she was principal -- she was still the youngest principal in the country -- nobody from home, nobody from her schooldays or college days. She had one or two women she knew and liked and saw sometimes, but no close friends. When the janitor from Hugh's school, Frank Mulvey, and his son came in a van with the tables and chairs, she had to restrain herself from telling them where to put everything; she wondered, as she watched them, at how blindly they moved, planning nothing, moving forward without direction. She smiled at herself minding so much about this. 'I want you to come with me to the supermarket,' she said. 'Come on quickly,' she said. 'I don't want to go,' he said. 'Cathal is going to help your daddy with the tables and chairs,' she said. 'I want to do that,' Manus said. 'Manus, you're coming with me,' she said. 'But why am I going with you?' he asked. 'Do you think you need to get your hair cut before you go to Donegal?' She would have said anything to distract him as she set off for the supermarket. 'I'm not getting my hair cut,' he said. 'We'll have to get a trolley,' she said. 'Impeccably,' he said. It was a new big word he had learned. When he looked at her, seeking her approval, she laughed and that forced him to smile. 'What are we getting?' he asked as they pushed the trolley through the supermarket. 'Do you think we should get large cans or small cans of beer?' Again, she was using an adult tone. 'If it rains, we'll move everything in,' Hugh said as they both surveyed the garden. At nine o'clock the first guests, two men and a woman, arrived carrying six-packs of Guinness and a bottle of red wine. The woman was carrying a fiddle case. 'Are we the first?' one of the men, tall with spectacles and curly hair, said. They seemed uneasy, as though they were half tempted to turn and go. Helen didn't know them and didn't think she had seen them before. Hugh introduced them to her. 'Sit down, sit down, we'll get you a drink,' Hugh said. 'An bhfuil Donncha ag teacht?' Hugh began to speak in Irish and one of the men spoke back from the side of his mouth, something funny, almost bitter. The others laughed. Helen noticed how unfashionably long the speaker's sideburns were. Hugh handed them drinks, and two of them went into the garden, leaving the one with the long sideburns. It struck Helen for a moment that she had interviewed the woman for a job, or she had worked hours in the school, but she was not sure. Hugh and his friend talked in Irish. Helen wondered if she was wearing the right clothes for the party; she watched the woman from the window, noted her jeans and white top and hennaed hair, how relaxed and natural she looked. Helen moved towards the fridge and checked again that everything was in order: the chilli con came would simply need to be reheated, the rice boiled; the salads were all ready, the knives and forks and paper napkins set out. She opened some bottles of red wine. 'If you want more, it's in the fridge,' she said to him. 'If I want more, I'll ask you,' he said. 'I'm tempted to say something,' she said. 'It's too early for me,' she said. 'Well, cheers so,' he said and lifted the bottle. For the next hour she was busy filling glasses and opening bottles and trying to remember names and faces. As it grew dark, Hugh lit the flares which he had stuck into the grass and these gave off a fitful, glaring light. When she brought the food out and Hugh put on the striped apron to serve it, people were already sitting at the tables. Cathal and Manus and several neighbours' children had made a small table for themselves and were eating pizzas and drinking Coke. The Indian doctor and his wife had arrived earlier, greeted everyone, accepted a drink of orange juice and left, but their eldest son, who must have been seven or eight, had remained behind and was at the boys' table. Helen had promised that she would walk him to his door and that he would not be too late. The O'Mearas next door -- she was unsure what they did for a living -- were sitting alone at a table watching all the laughter and good humour around them. Helen knew she would have to go and sit with them; it was clear that no one else was going to pay them any attention. She was glad that the guard and his wife had not come. Helen realised that she did not want them to know that she spoke no Irish either. She was prepared to eat with them, but she was not prepared to join them in being at a loss. She noticed several more people arriving. One of the new arrivals was a friend of Hugh's called Ciaran Duffy who had a case for uilleann pipes with him. Of all of Hugh's friends, he was the one she liked best and found easiest to be with. She didn't think he spoke much Irish either, but he was a welt-known piper and she watched a number of others turning to look at him as he arrived. She liked his boyish self-confidence, his clear, open face. He reminded her of Hugh, except he was bigger, stockier. Hugh guided Ciaran Duffy and his friends over to her table Everybody shook hands and suddenly, she noticed, in just a few seconds, the O'Mearas had lost their forlorn, isolated aura and were busy taking in their new companions. Hugh brought over chilli con came and rice and salads and went back to get drinks. As Helen went out to close the front door, which had been left open so that people could walk through, she noticed the six-packs carefully placed everywhere, like parcels of territory. It was something Hugh would never do, she thought; he would never be bad-mannered like that and in time, she reckoned, as his friends became older and more prosperous, they would change too. When she came back into the kitchen, his friend with the brown and green eyes appeared. He stood in front of her. 'It's you again,' she said. 'I was wondering where the toilet was, your honour,' he said in a mock country accent. 'Right so. It's a pleasure being in your house,' he said and moved away. She went back and sat with the O'Mearas. Opposite her, Ciaran Duffy caught her eye and winked, as if to say that he had the measure of the O'Mearas, but he would be saying nothing. She smiled at him, as if to say that she knew what he was thinking. He shouted something to her, but she could not hear it for all the noise around. Before she served the fruit salad and cream she counted the guests at the tables: there were thirty-seven; they had expected four or five more; maybe some of them were, as Hugh had said, in the pub. Closing time was half-past eleven. It was eleven o'clock now and maybe time, she thought, to take the Indian boy home -- she must find out his name. He was laughing with Cathal and Manus and the other boys. She decided to leave them for another while. The music started in the kitchen while most of the guests were still at tables outside. The man with the six-packs was playing guitar, his friend the flute, and the woman in the jeans and white top a fiddle. Their playing was casual, unselfconscious, almost loose; Helen knew that any move towards intensity would be frowned upon, or indeed mocked. The flute player was leading them, setting the pace; the music had a strange, repetitive gaiety, and the players continued to give the impression that they were playing to please themselves, or each other, but they were not looking for an audience, nor seeking to impress anybody. Slowly, people began to carry chairs in from the garden; someone turned off the main light in the kitchen, leaving only the light of two lamps to illuminate the room, and others joined in the playing, another fiddle, a mandolin, a squeezebox. Hugh was still busy opening bottles and falling glasses. She knew that he loved the music, the semi-darkness of the room, the company, the drinking. It reminded him of home, of something which was hardly ever possible in Dublin, something that most of his friends here would not be able to manage, being too modest or lazy, too willing to drift and let things happen. Suddenly, there was silence all around; a woman had begun to sing. Helen knew her, knew that she had made records in the past with her brother and sister and more recently a solo CD which Hugh had listened to over and over and Helen had slowly grown to like. Helen had met the singer on the stairs earlier in the evening and remembered her shy, friendly smile. Now as she stood against the back wall of the room, she sang with ease and authority, and among the guests there was a hush which was almost reverent. The woman did not often sing in public, and if she had been asked to sing -- Helen knew the rules -- she would have refused, suggesting somebody else, remaining resolute in not singing. Her voice had come from nowhere during a break in the music. Her family, Helen knew, was from Donegal, but Hugh had only met her in Dublin. Her accent in Irish was pure Donegal, but the strength in the rise and fall of the voice was entirely hers, and even the O'Mearas, Helen could see, watched her with awe. When the song was over and the singer sat down, she smiled and sipped her drink as though it were nothing. The music started again, this time faster than before; someone produced a bodhrán and began to beat it with his eyes closed. Helen went with the O'Mearas to the front door and then remembered the Indian boy and went back in to find him. He was playing around the tables, being chased by Cathal and Manus and another boy who had permission to stay up until the end of the party. As she broke up the game she wished she had secured permission for the Indian boy to stay on as well. She walked with him up the street to his house. 'Will your parents not be asleep?' she asked. 'My mother will be waiting,' he said and smiled. She wondered if Cathal and Manus could ever be polite like this. 'No, she will not blame you,' the boy said gravely. As Helen walked back to the house, she looked at the road bathed in the eerie yellow light which oozed from the streetlamps, and the cars parked in the drives or the roadway -- Nissans, Toyotas, Ford Fiestas; every semidetached house was exactly the same, built for people who wanted quiet lives. She smiled to herself at the idea and stood outside the house as a taxi, flashing its lights, approached. She watched as the driver got out, an electric torch in his hand. 'We're looking for Brookfield Park Avenue,' he said. 'We've found Brookfield everything else. It's the wild west out here.' He flashed his torch at a neighbour's doorway. 'It's here. You're here,' she said. The doors of the taxi opened and four passengers got out, each with a bag of cans under his arm. 'This is the place,' one of them said. She could not make out any of the faces. 'I know you,' she said. 'You're Mick Joyce. Is it not too late for you to be out? 'Hold on until I pay this man,' he said and laughed. When the taxi drove away, she accompanied the four new guests into the party. Mick Joyce had come to the house several times before; he was a solicitor, he had done all the legal work for Hugh's school. He was the best solicitor in the country, Hugh said, he knew every trick, he was a great man for detail, but Once darkness fell -- and she had heard Hugh telling the story several times, using the same words -- he'd do anything, go anywhere, he'd go to Kerry and back the same night if he thought there was anything going on there. He had a strong Galway accent. 'This is the woman of the house,' he said to the others. They shook her hand. There were no introductions. 'We kept food for you,' she said. 'You're a great woman,' he said. He walked down the hallway to the kitchen and stood in the doorway as though he owned the place, or was the guest of honour. When the music stopped, several people Shouted greetings. Hugh got drinks for him and his companions and then the music started up again. Helen noticed that Ciaran Duffy was assembling his uilleann pipes, being watched carefully by several people. It was slow, meticulous work, and she realised that those still playing were overshadowed by these preparations. She watched Mick Joyce going into the garden, finding Manus and lifting him on his shoulders, making him laugh and shout; Cathal and his friend followed them as they moved around the garden. She remembered that each time Mick had come to the house he had sought Manus out and acted as though he had come to see him specially. Manus loved him; he was the only friend of Hugh's he ever mentioned. Mick Joyce and the boys came into the house when the piping began. Some people had already left, but the kitchen was still half-crowded, and there was a silence now which had been there before only for the singer. Those who had been playing left their instruments down: this was, Helen knew, more than anything a world of hierarchies, and no one came near this player's reputation. They listened, full of respect and deep interest in the technique, the movement of chanter and drone, the sense of control and release. Cathal and Manus had been learning the tin whistle; they sat on the floor listening, Manus making sure that Mick Joyce was sitting on the chair right behind him, and paid attention, even though it was after midnight now, and they should have been asleep three hours earlier. Helen sat on the floor and relaxed for the first time that evening; she noticed the tunes md rhythms changing, becoming faster, a display of pure virtuosity, full of hints and insinuations, good-humoured twists and turns. The room was half full of cigarette smoke; cans and bottles were being used for ashtrays. All around, people sat or stood and listened to the music. Hugh stood with his shoulder against the wall; he caught her eye and grinned at her. When the piping stopped, the crowd began to thin out. It was then that someone shouted at Mick Joyce that he hadn't sung yet, and that the night would not be complete until he did. 'I thought you were too drunk to sing,' one of them said. 'I'll give you singing now, if you want singing,' he said. And place me in some regiment all in my youth and prime. When he had finished he lifted Manus up and laughed when the child pulled his ears. He looked at Helen as if to say that he had fooled them all again. Helen brought him a cold can of lager; he opened it and offered some to Manus first, but he refused. Manus didn't like the taste of beer. Cathal put his hand up and asked for some and when Mick Joyce handed him the can he put his head back and drank the beer. He saw Helen watching him. He knew he was allowed to take sips of beer, but he was still uncertain about her reaction. 'He gave it to me,' he said as he handed back the can. Helen closed the doors to the garden. The party was nearly over. She remembered Hugh telling her that Mick Joyce knew only one song, and she was relieved about this. His singing could have been heard by the neighbours on both sides, and possibly further down the street. She wondered about Mick Joyce: since he liked children so much, why he didn't have children of his own, and how he managed to pretend, in his manners and speech, that he was in the west of Ireland. She wondered what it would be like to be married to someone like that - the mixture of control and anarchy, the unevenness. She turned around and watched as Hugh began to sing in Irish, his voice nasal and thin, but sweet as well and clear. His eyes were closed. There were only about ten people left, and two of these joined the song, softly at first and then more loudly. She stood there and thought about Hugh: how easygoing he was and consistent, how modest and decent. And she wondered - as she often did in moments like this - why he had wanted her, why he needed someone who had none of his virtues, and she felt suddenly distant from him. She could never let him know the constant daily urge to resist him, keep him at bay, and the struggle to overcome these urges, in which she often failed. He tried to understand this, but he was also frightened by it, and often succeeded in pretending that it was nothing, it was her period, or a bad mood. It would pass, and he would wait and find the right moment and pull her back in again, and she would lie beside him, half grateful to him, but knowing that he had wilfully misunderstood what was between them. As she watched him now, his voice soaring in the last verse of the song, clearly in love with the sounds of the words he was singing, she knew that anybody else would have laid bare, in the way that he had covered, the raw areas in her which were unsettled and untrusting. The Wall Street Journal The Blackwater Lightship is the most perfect work on the Booker list...The prose is economical and deft, and the book is rich with entrancing stories. Jim Marks The Washington Post Book World ...supple, beautifully modulated prose, complex relationships and careful construction...a powerful and absorbing novel. Mark Levin Men's Journal Tóibín is a superb technician with a brave soul. 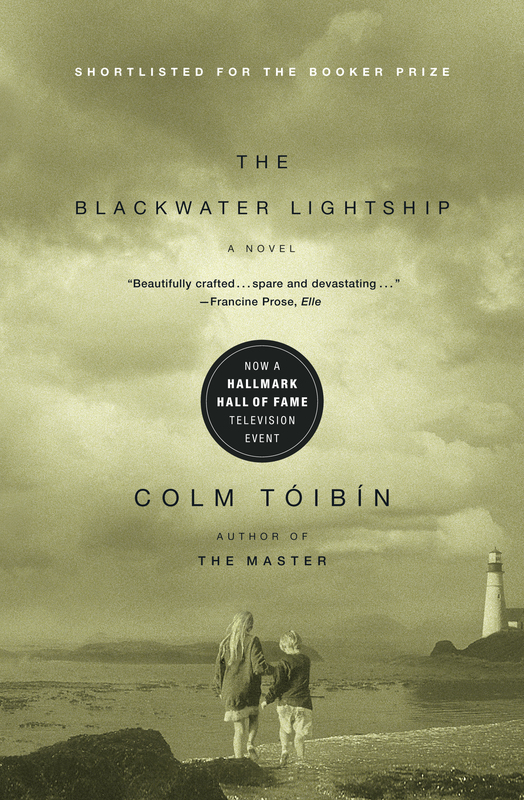 The Blackwater Lightship is a great and humanizing novel. Robert Sullivan Vogue Tóibín writes with high-voltage restraint. Judy Lightfoot The Seattle Times So much is here and you long to grasp it whole...the best new novel this reviewer has read all year.